Ahh the old playhouse. A standard fixture in many backyards across the Charlotte area. At one time or another it was most certainly a source of entertainment, exercise, and fun and games. Keeping the youngsters occupied for hours. However, kinda like their clothes and shoes, they tend to outgrow and find other things to keep them entertained. And now that they are onto the next best thing, what will become of the old playset? Well no need to fret. 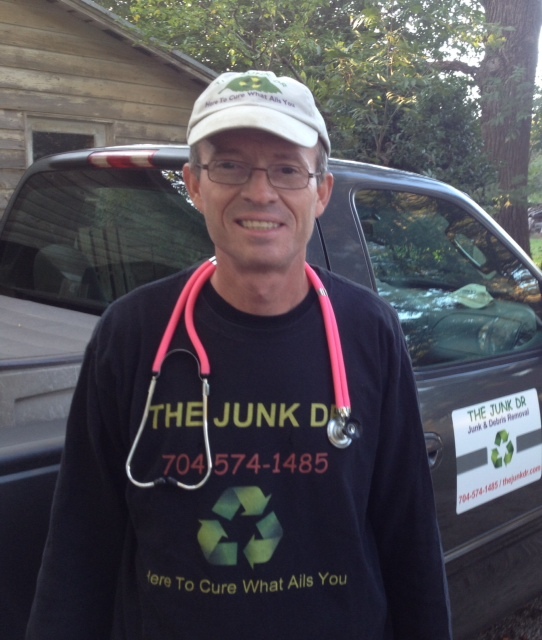 THE JUNK DR is more than happy to assist in the demolition and removal of your old playset! Has that old playset seen better days? Are you selling your home and need that swingset removed? Perhaps the kids are grown and there just isn’t any reason to have it around anymore. Over the years, THE JUNK DR has performed a multitude of playset removal procedures throughout Charlotte and the surrounding areas. We also specialize in other types of debris removal and hauling. Please feel free to reach out to THE JUNK DR @ 704-574-1485, or through my contact page, for more details. Thanks and have a great day!! This entry was posted in Debris Removal, Demolition, Hauling, Playhouse Demo, Swing Set Removal and tagged Charlotte Debris Removal, Hauling Charlotte, Playhouse Demolition, Swing set removal by The Junk Dr. Bookmark the permalink.